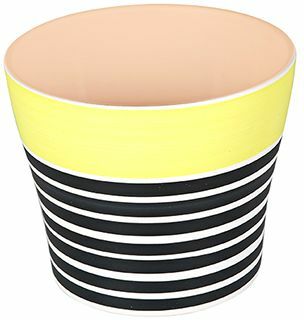 Designed for the home or garden, this plant pot is ideal for planting flowers and bulbs, or simply used as decoration in your home. Stylish, yet delicate, this sturdy pot will meet all your gardening needs. Suitable for home and garden.